Jose Manalo's daughter, Myki, is now a proud licensed doctor! 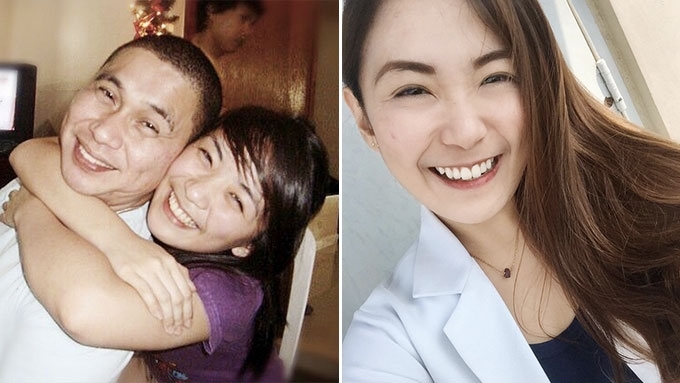 Jose Manalo's daughter Myki is now a licensed doctor! Myki proudly shared the good news on her Instagram account last September 22, which was also the day the results of the September 9 Physician Licensure Examination was released. She wrote in her caption, "LORD, IBA KA! IKAW LAHAT 'TO! THANK YOU! LISENSYADONG DOKTOR NA PO AKO!" Myki finished her BS Psychology course at De La Salle University Manila in 2012, and completed Doctor of Medicine at the Far Eastern University-Nicanor Reyes Medical Foundation (FEU-NRMF) Institute of Medicine. She also received a certificate from De Los Santos Medical Center, where she had her post graduate internship. During her last day, Myki wrote a goodbye message to the institution which she called "home." "My 1-year stay in this institution was pure bliss. I will forever look back to this time of my life with a smile and a warm heart. In this hospital is where I truly found home. Thank you, De Los Santos Medical Center!" While becoming a doctor is no walk in park, Myki's posts showed that from time to time, she knows how to have fun. In this post, she described herself a "debutante doctor pose while doing scutwork." She added, "lol this is why I need to remind myself often that I should not be playing because I am a full grown (but not really) adult and a doctor who should be doing serious doctor stuff."